Quit smoking hypnosis focuses on helping you break the habits created by nicotine. Which situations trigger your desire for a cigarette? Quite often, scenarios such as coffee breaks, a finished meal, a morning ritual is enough to ensure smokers develop their trance-like state, by which they reach for the cigarette packet in a sub-conscious way. We have helped many clients via our custom quit smoking hypnosis program. We do this by helping them break the habit (or trance like-state) so that the trigger scenarios become disassociated with the need to smoke a cigarette. (1) A meta-analytic comparison of the effectiveness of smoking cessation methods. Journal of Applied Psychology. Vol 77(4), Aug 1992, Pages 554-561. What to learn more about Quit Smoking Hypnosis? 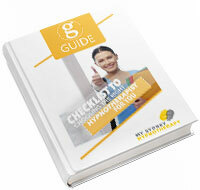 Get your FREE Smoker's Edition Checklist to Choosing the Right Hypnotherapist for You ! Get first-hand advice written by the #1 Highest-Rated Hypnotherapist to Help you Quit Smoking ! How soon after stubbing out your last cigarette that the healing begins, and how long it takes to totally erase the damage as though you’d never even smoked in the first place! Why motivation (or lack thereof) can affect your chances of success… and how to increase those chances ! How to identify the “triggers” that spur you to smoke in the first place… and how to handle them effectively! *I was previously smoking for over 20 years and after my 2 year old daughter said to me, “dad, I want to smoke like you on the balcony”, I said enough is enough. I went to see George and after 1 session, I didn’t feel like smoking again, it was like I didn’t even think about it anymore. Thanks George. *George Swan is amazing!! I decided that I wanted to stop smoking for good. After my treatment with George, I am proud to say that I am a happy non-smoker. This has been a life changing experience for me and it has improved not only my health and wellbeing. I highly recommend George Swan to anyone who is looking to make a positive changes in their lives. You can do it! * If you want to quit smoking then look no further! I went to see George to quit smoking as I have tried many things over the years to no avail. All I can say is that 2 month’s has passed since my session with George and I have not touched a cigarette since, I cannot actually believe it. George was very professional and after the session he gave me audio tapes to listen to. I cannot recommend George enough, if you want to quit smoking then look no further! *I am proud to say that I am a happy non-smoker! George Swan is amazing!! I decided that I wanted to stop smoking for good. After my treatment with George, I am proud to say that I am a happy non-smoker. This has been a life changing experience for me and it has improved not only my health and wellbeing. I highly recommend George Swan to anyone who is looking to make a positive changes in their lives. You can do it! Want to break free from Smoking?